The Paraben Android Recovery Stick has everything you need to retrieve all of the data from a person’s Android smartphone, tablet or wearable device. It compiles all of the user’s data into one easy-to-read report, including their call history, text messages, web browsing history, contacts, and social media messages. It’s perfect for employers and professionals that want to recover deleted data, and for concerned parents and married partners that want to keep an eye on their loved ones. The Paraben Android Recovery Stick is compatible with all Android smartphones, tablets, and wearable devices. It recovers all of the person’s data including their call history, text messages, web browsing history, deleted messages, GPS data, media including photos and videos, and their social media messages. You can also recover deleted data, so you don’t have to worry about the person quickly erasing all their messages. 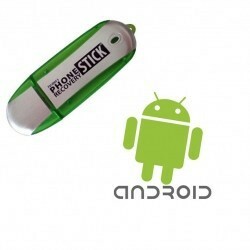 Regardless of what kind of information you’re looking for, you can find it with the Paraben Android Recovery Stick. The device is extremely easy to use. Just connect the person’s smartphone and the Paraben Android Recovery Stick to the same computer via the USB slot. Then, run the software that’s on the Paraben Android Recovery Stick and you’ll have all the data you need in just a few minutes. The Paraben Android Recovery Stick compiles all of the person’s data into one easy-to-read report. It includes all of the information you might need such as the time and date of the message, the sender and the receiver, and all of the person’s contacts. You can quickly scan the report until you find the information you’re looking for. You don’t have to worry about getting caught snooping around on another person’s smartphone. 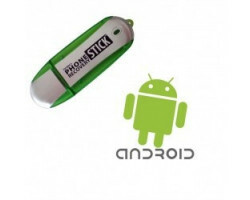 The Paraben Android Recovery Stick is designed for covert cellphone spying and monitoring. The recovery process doesn’t leave a trace. Just leave the person’s smartphone where you found it and no one will suspect a thing. Phone Type: Compatible with Android Phones running up to Android 8.0 (Please note: when using Android 8.0, Recovery Stick will not recover data from third-party apps). Data Recovery Type: pictures, text messages, contacts, call history, and calendar entries, Internet browsing history.